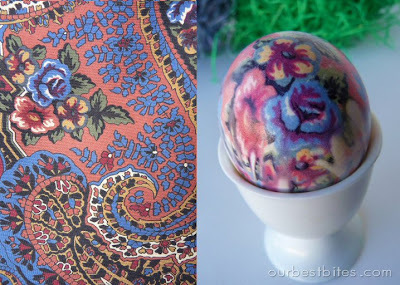 Our Best Bites has posted a great article on how to dye Easter eggs with silk ties. Check out the details on her site. You have to use 100% silk ties. I am a little concerned about her, she seems to think these ties are ugly! Seems like a waste of a perfectly good tie to me.